In the picturesque glen behind the village, several burns converge before flowing south into the River Devon. It was these which provided the power for the textile industry for which the village was formerly best known. Today, the town is most closely associated with Britain's largest furniture store and other retail outlets. There are a number of pleasant walks around Tillicoultry including the Devon Way, running along a disused railway to Dollar. A walk into Mill Glen provides lovely panoramic views of the Forth and Devin valleys. Buildings of interest in the town including the Murray Clock Tower, the Popular Institute built in 1859, and the bell tower built in 1879. VisitScotland / Paul Tomkins, all rights reserved. 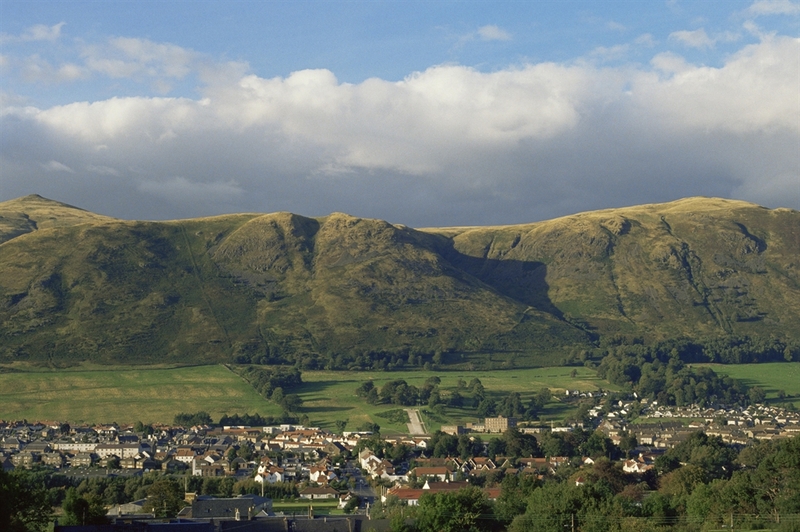 The town of Tillicoultry, Clackmannanshire. VisitScotland / Paul Tomkins, all rights reserved. The town of Tillicoultry, Clackmannanshire. VisitScotland / Paul Tomkins, all rights reserved. 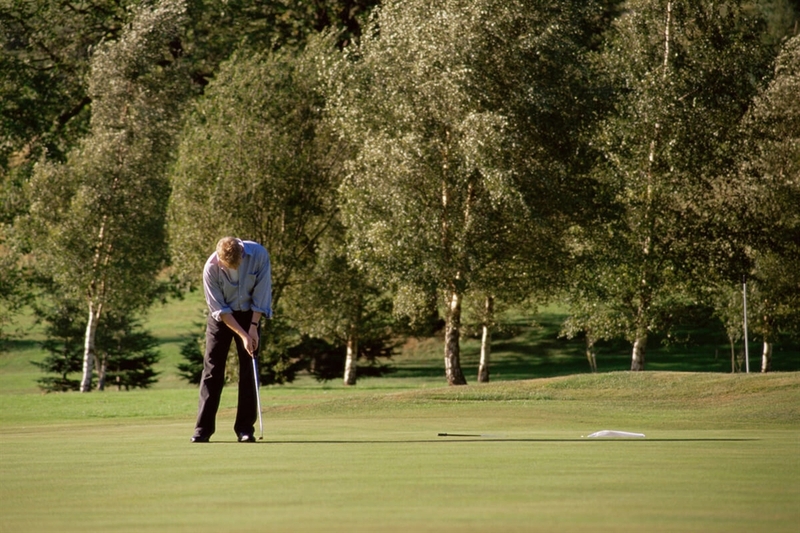 A golfer squares up for a put towards the flag on a green on Tillicoultry golf course.